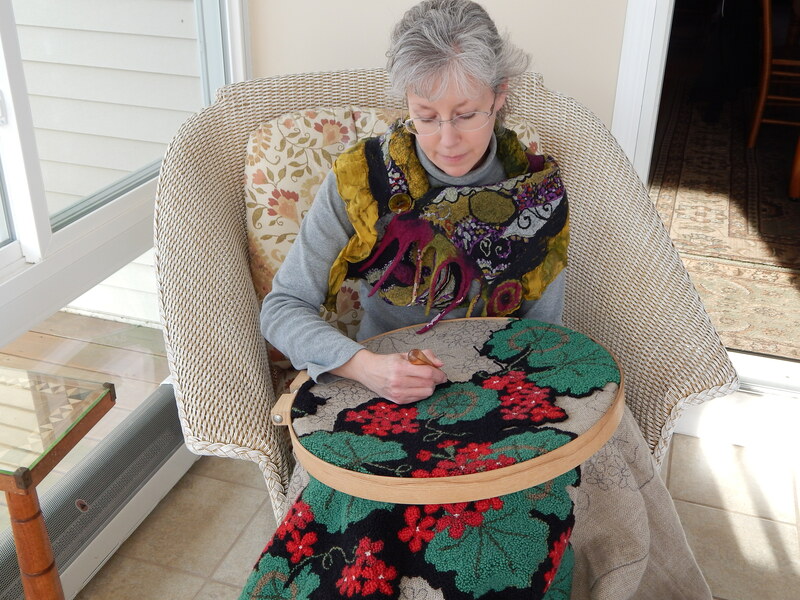 Fiber Artist Chris Pellerin works on a hooked rug. I learned how to hook rugs using wool yarn back in 2005, and have recently continued my education working with Margaret Arraj MacDonald at Mill River Rugs. This traditional craft, believed to have originated in the Canadian Maritimes or the New England coastal villages, is done with a simple hook, by pulling yarn, wool strips, or other fabric through holes in woven foundation fabric. 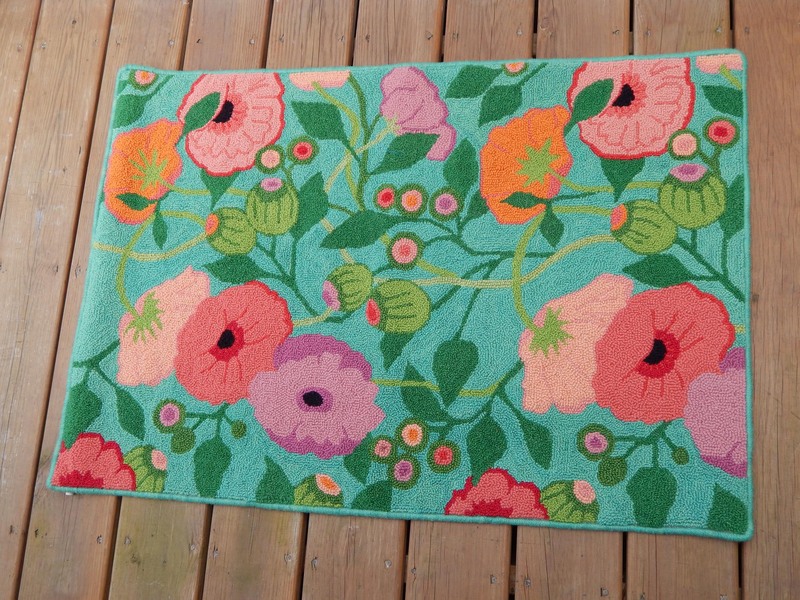 Originally, women would re-purpose feed sacks and old sweaters to make bed rugs and floor mats. My preferred materials are wool rug yarn and long-lasting Scottish fine linen foundation fabric for quality and durability. Each of my rugs is professionally finished with a hand sewn wool binding. They have a piped edge to protect the edge from wear and tear. Some of the rugs have a rod pocket sewn into the top edge of the reverse side for easy hanging. Each is made with great attention to detail and with proper care should last generations. I have been asked how long it takes me to hook a rug. A 30” by 40” rug takes me approximately 120 hours to hook, not including time for design, pattern transfer, binding, and finishing, which each take several hours. 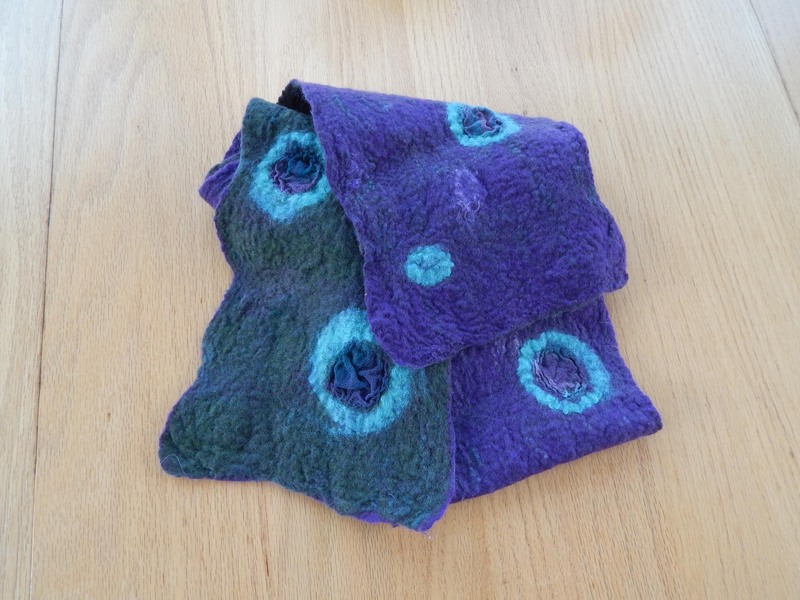 More recently, I became enthralled with the tactile art of nuno felting. This process involves wet felting merino wool into silk fabric, and fulling (shrinking) the resulting laminate fabric to create beautiful patterns and textures. Over the past three years I have been experimenting with this technique and making scarves, cuff bracelets, and bags. I try to incorporate the fleece from my own flock of Pygora goats into my work. I am a member of the Northeast Feltmakers Guild.